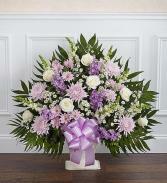 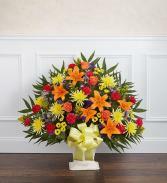 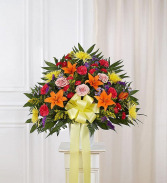 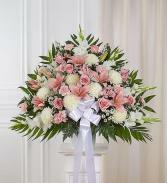 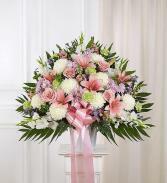 Funeral Flowers from CAROLINA FLORAL DESIGN - your local Beaufort, SC. 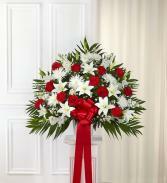 In times of loss, expressing the love you feel in your heart is not always easy. 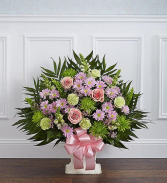 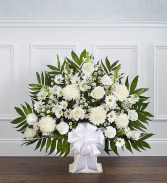 Our elegant floor basket arrangement in graceful hues, handcrafted by our caring florists with soothing lavender and white blooms, is a tasteful gesture perfectly suited for the funeral home or memorial services. 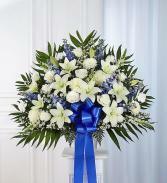 Maybe they loved the color blue…or maybe they enjoyed the calmness of the ocean under a cloudless sky. 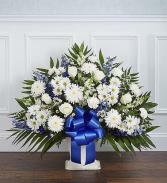 Our majestic blue and white standing basket arrangement will help honor their memory in a unique and meaningful way. 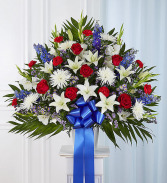 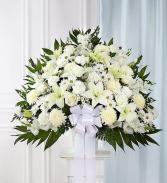 Artistically designed by our expert florists with rich blue and pristine white blooms, this floral tribute is a heartfelt expression of your deepest sympathies.